We’re already well into the month of January – the beginning of the new year! 2017 was dynamic, to say the least. What will 2018 have in store? Your best guesses are just as likely as ours, but one thing we do know is how important it is to figure out what YOU really want out of life, and then asking for it! Here are a few tips we’ve been inspired by in the past that we’re aiming to keep top-of-mind for 2018. 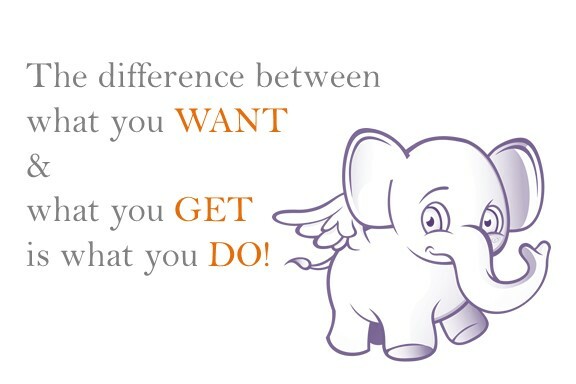 Figure out what you want! Knowing the what is sometimes the hardest part, because you have to think critically about what’s driving you and what motivates you this year. Once you’ve figured it out, write it down. If you’re confident with it, say it out loud and then share it with friends, colleagues, or your spouse. You’ll never get what you want in life unless you SAY IT! Go directly to the person who can give you what you seek, and ask for it. If you want the job at XYZ company, try to reach out to the CEO on LinkedIn first. Or send an email if you can find it online, explaining why you think you’d be great for what they’re doing. Starting at the top is the best way to get buy-in quickly. People will often give you what you ask for because it also benefits them somehow. Starting an ask with a clear statement of what’s in it for you along with what’s in it for them, will lead to many more wins for you! Negotiators always try this, and it often works. Asking for MORE sets the bar higher so that, after the negotiation is over, you’ll likely get what you want. Explain why you need it! Sometimes explaining something with a “because” added on is an excellent way to share what you need. By doing this, you allow the person you’re asking to visualize why it’s so important to you, and your potential happiness provides them with added joy when they (hopefully) say yes! In the end, always aim to get to a place where you dismiss anything you’re worried about, and just roll. You can rock it! What do you think of these tips? What tips would you share with your friends?